As the name implies, a Rich Field Telescope is one that will show the observer the maximum possible number of stars within the field of view when looking, say, towards the Milky Way. Using such a telescope to sweep along the Milky Way on a dark moonless night, is one of the most beautiful sights that can be seen in the heavens. However it should be pointed out that the main use of rich field telescopes is not really to observe the maximum number of stars in a region of the Milky Way but to observe large angular objects such as the Pleiades Cluster and other objects mentioned at the end of this essay. At first sight one might just think that buying a bigger telescope will let you see more stars but it is not quite as simple as that. Yes, a bigger aperture telescope will allow you to see fainter stars but, in general, larger aperture telescopes will have smaller fields of view so limiting the number of stars that can be encompassed within them. In fact, it’s not trivial to work out what might be best and it requires the knowledge of the number of stars of a given brightness per unit area of the Milky Way. This shows that the number of stars visible in a region of the Milky Way using any of these aperture telescopes is roughly similar, with the increase in aperture compensating for the reducing field of view. It turns out that we tend to see the most stars when the exit pupil of the telescope/eyepiece combination equals that of the dark adapted eye. In young people this is approximately 7 mm but, sadly, as we age this slowly drops down towards 5 or 5.5 mm. [See addendum at end of essay.] The exit pupil is the telescope aperture divided by the magnification. Let us use a mid-range exit pupil diameter of 6 mm and calculate the appropriate magnifications for a range of telescopes. For a 70 mm aperture one would need a magnification of 11.6, for an 80 mm refractor x13.3, a 102mm (4 inch) telescope x17, a 150mm telescope x25, a 200 mm (8 inch) x33.3 and a 300 mm (12 inch) x50. The figure below is of three of the best wide field eyepieces: two have been mentioned above and the 31 mm Nagler is discussed later in the essay. All are quite big and heavy − not least the Nagler! There is an excellent review of these three eyepieces on the Cloudy Nights website: search for ‘CN report Nagler Paragon Panoptic’. It should be pointed out that the original Paragon was marketed under the TMB brand name. That now sold by Telescop-Service is said to be identical. When using a rich field telescopes to observe large angular size objects one will use the smaller aperture (and hence shorter focal length) telescopes. Given the aperture and required magnification one can calculate the focal length and hence focal ratio required for the telescope. For example, with the 40 mm focal length Paragon and the required magnification of x13.3 for the 80 mm refractor, the required focal length is 532 mm and the focal ratio of 532/80 is f/6.65. This is true in all cases. If I had used a 7 mm pupil diameter, this would have resulted in a focal ratio of just under f/6. So dependant on age, the ideal rich field telescope will have a focal ratio between f/6 for young observers up to f/8 for more elderly ones. Given that 2 inch focusers are the largest generally available, and that the lowest power wide angle eyepieces are about 35 mm to 40 mm in focal length (such as the 40 mm Paragon and 35 mm Panoptic) f/6 is the slowest focal ratio that we can use and still achieve richest field views. This observation goes against what is often stated that, to obtain rich field views, one should use the slowest focal ratio that you can. Focal ratios of f/4 are often quoted and I rather expected the analysis that I have presented above would give an f ratio nearer to this. I have, however, found one telescope authority who agrees with my analysis so I believe it to be correct. Let me try to justify this. I have a 200mm aperture, f/4, Schmidt-Newtonian telescope, so having an 800 mm focal length. Using my 40 mm Paragon with this telescope, gives a magnification of 20 so the size of the exit pupil is 10 mm – and only ¼ of the light collected would pass into my 5 mm dark adapted pupil. It would be, in effect, a 100mm aperture telescope. [Obviously those lucky enough to have a ~7 mm pupil diameter would benefit but still the telescope would have an effective aperture of 140 mm and only ½ of the collected light would pass into the eye.] Having said this, if one did not have a refractor having an aperture between 100 and 140 mm then this would actually work pretty well though a Newtonian will typically vignette (darken) the stars towards the edge of the field; the amount depending on the diameter of the secondary mirror. Also, when a long focal length eyepiece is used with a telescope having a secondary mirror, one can sometimes see its shadow in the field of view. It is important that the telescope used gives good star images out to the edge of the field and for a Newtonian a coma corrector such as the Baader MkIII MPCC would be required whilst for a refractor a field flattener such as the Teleskop Service 2-inch TSFLAT2 should be used. Very few telescopes will give a sharp flat field over that encompassed by the Explore Scientific 30 mm eyepiece and these would be termed astrographs – but few of these have image circles greater than ~44 mm. As noted above, a telescope using a low power eyepiece to give a wide and rich field is not just for observing the Milky Way. The combination of my 80 mm refractor and Paragon 40 mm eyepiece gives a wonderful view of the Pleiades cluster in Taurus, able to encompass the whole. [I believe every astronomer should have an 80 mm refractor!] When observing such deep sky objects, choose an eyepiece that just encompasses the object as this may give a higher magnification and so darken the sky background. The Double Cluster in Perseus is another wonderful object, just seen with the unaided eye. An 80 or 100 mm refractor used at low power will show the two clusters beautifully. A 200 mm telescope will allow you to see the orange coloured red giant stars sprinkled across the field. One hardly needs to mention the region around M42, the Great Nebula in Orion – one of the most wonderful sights in the heavens. The Cygnus region of the Milky Way is another highlight – perhaps using an H-alpha/OII nebula filter you might be able to observe the faint red glow of the North America Nebula and the three sections of the Veil Nebula – an expanding supernova remnant. The constellation Auriga, passing high overhead during part of the year, lies along the Milky Way and includes three Messier open clusters. A real test, requiring a moonless and transparent sky, is to observe the Rosette Nebula in Monocerous. Large open clusters. As well as the Pleiades Cluster in Taurus, observe the Beehive Cluster in Cancer, the Hyades in Taurus and the Coma Berenices region which is sprinkled with bright stars. This latter region includes the Coma Star Cluster, also known as Melotte 111, which contains ~40 stars ranging in brightness from magnitudes 5 to 10. Observe the region around NGC 6231 in Scorpius – it is often called the ‘False Comet’ when viewed at low power whilst, at higher powers, it appears like a spray of diamonds. M8 and M20 in Sagittarius can both be seen in the same field. M24, also known as the Sagittarius star cloud, is a region is filled with stars of all brightnesses and a lovely embedded cluster. Choose a magnification that allows it to fill the field so that the sky background is darkened to enhance contrast. At a low enough power, M17 (the Omega or Swan Nebula) can be seen in the same field. The Scutum star cloud which includes M11, the Wild Duck cluster. If one has the chance to visit the southern hemisphere there are wonderful views of the central region of the Milky Way, along with the region I imaged and described in a digest essay containing the Southern Cross and ‘Jewel Box’, the Coal Sack dark nebula and the Eta Carinae Nebula. 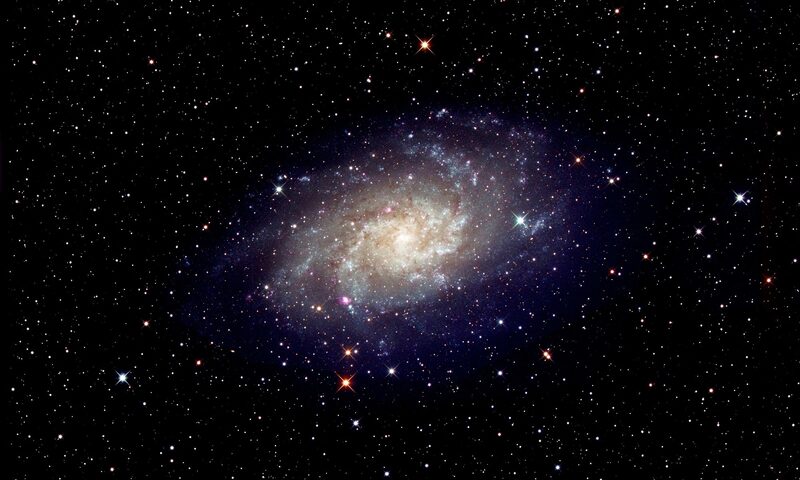 One shouldn’t limit oneself to our own Galaxy. The Great Nebula in Andromeda, our nearest giant galaxy in space which lies at a distance of 2.5 million light years, spans just over 3 degrees in length. 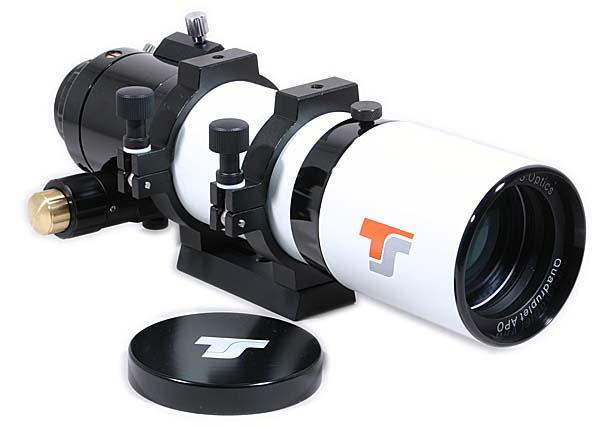 An 80 mm or 100 mm aperture telescopes with a low power wide field eyepiece can easily encompass it. Both M81 and M82 in Ursa Major, which can be seen in the same field of view, lie ~5 times further away that the Andromeda Galaxy. If you have a 2 inch focuser, then you owe it to yourself to buy a suitable eyepiece so that you can enjoy these wonderful rich field views for yourself! This is not too easy! A ruler with mm divisions and, preferably, a red torch is required. Face a mirror quite closely in a very dark room and using the torch’s red light to see, place one end of the ruler as close as you can to your eye so that the mm divisions are just below your pupil. Block out the light from the torch by holding it against you body and wait a while. Then, very quickly, bring the torch up so that you can see your pupil with the ruler in front. The pupil will then start to contract down but you can get a good idea of the pupil diameter before it does so. Mine is nearer 5 than 6 mm in diameter – which, sadly, is to be expected.